Nadeem F Paracha, Columnist for Daily Dawn and Chowk. 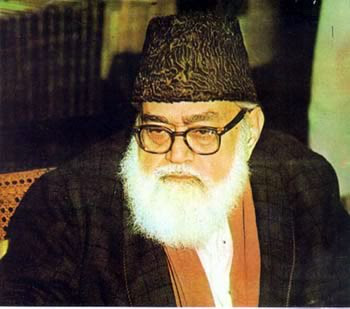 Not surprisingly, ever since the late 1960s, Maududi’s philosophy has off and on found itself being used to encourage self-righteous coercion, political intrigues and violence – as seen in Jamat Islami’s role in the 1953 and 1974 anti-Ahmadiyya violence (for which Maududi was imprisoned); the role of the party in supporting (and taking part) in the Pakistani Army’s controversial actions in the former East Pakistan; and the role of the party’s student wing, the Islami Jamiat-e-Taleba (IJT), which was accused (in the 1980s) of introducing the violent ‘Kalashnikov Culture’ on the country’s campuses. ; . Ironically, Zia’s ban on alcohol gave birth to a thriving bootlegging mafia- even though cities like Karachi have licensed liquor stores that have successfully checked the bootleggers’ influence in this city. According to Arkun, it is only then that reason in Islam can be liberated from man-made dogmatic constructs – constructs that have played the foremost role in derailing Islam from its early philosophical and rational path, landing its fate in the clutches of biased power politics and, eventually, in the gun barrels of the fascistic and irrational mutations of the faith (such as the Taleban and Al-Qaeda).